Doesn’t every child and even grown-ups dream of becoming a superhero? 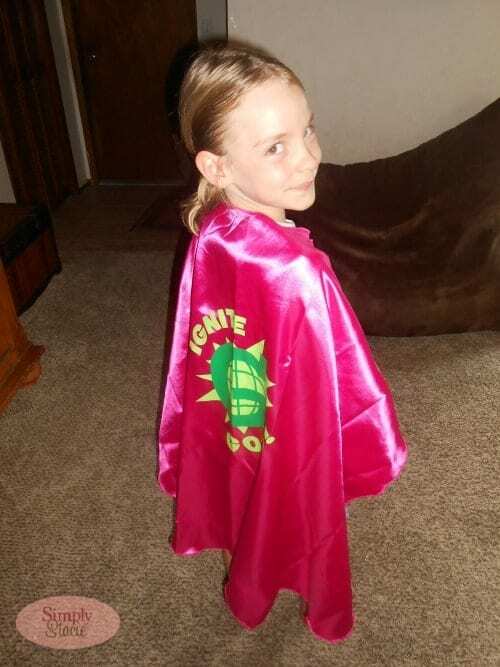 My two sons, ages 8 and 5 and their sister, age 6 love to role play as superheroes who are saving the world with their super powers and good deeds. Educents is a wonderful deal website that offers the best quality educational products at deeply discounted prices for teachers and parents. It is an excellent resource for homeschooling families like ours as I have been able to find several books, online learning program and curriculum resources for a great deal allowing me to stock up for our school year. Deals are available for only a limited time, so it is important to act quickly to make sure that you don’t miss out! We recently had the opportunity to try out a Make Me A Superhero Activity Kit by the Global Game Changers™ and my kids loved it. This exciting interactive superhero themed kit comes packed with everything kids will need to inspire little ones to find ways to do good deeds in the world. It includes a Superhero Ignite Good! Cape, Super Fun Activity Book, Mission Up! Card Game, a Hardcover Storybook, a bonus wrist band and even more fun at the interactive website. My children got very excited as they sorted through the fun adventures available to them in the Superhero Activity Kit and had hours of fun role-playing and discovering their special talents and gifts. 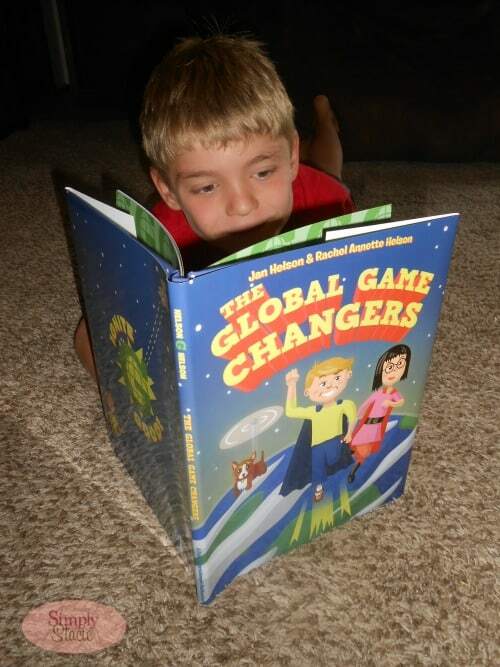 I love that the creators at Global Game Changers™ are a mother-daughter team who were inspired to create this mission program for children after discovering a family history of breast cancer and ultimately a successful campaign to raise money for cancer research as a way to selflessly make use of her musical talents. The result is this Superhero Activity Kit which is an excellent curriculum resource or a great way for parents to interact with their children and encourage them to find their own ways to harness their talents and give to others. 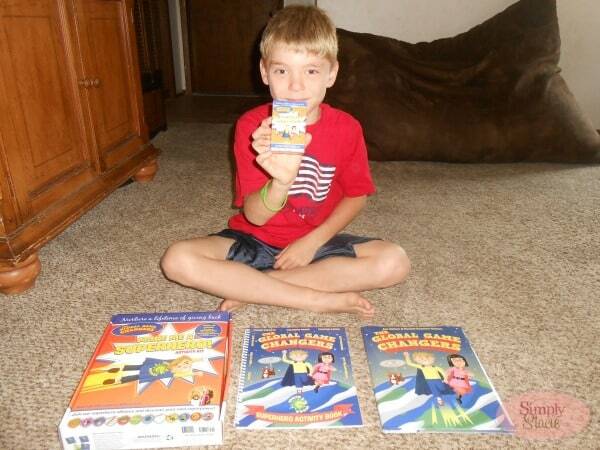 You are invited to visit Educents to purchase the Make Me A Superhero Activity Kit by the Global Game Changers™! It will be available for only $22.50 which is a savings of 25% off the SRP of $29.99 and well worth the price in terms of theme, learning experience and content! Connect with Educents on Facebook and Twitter too. “Make Me A Superhero Activity Kit by the Global Game Changers™” is fantastic. The kids will Love this. I love how you can role play and have the accessories to make the role play more Real and lively. This is fantastic. I know some children who are going to have some smiles on their faces. Thank you for the review – for introducing me to this great product. That is so neat!!!! My son loves his superheroes so he would love this! What a wonderful resource for teachers! I have forwarded your post to my step-daughter who is a teacher and offered to get her a few things she may like for her classes. Thanks again for great information on educational products. I’m sure that just the Cape would be a huge hit in my house, let along the kit! My grand kids would love this. Parents will like how everything is there in one easy kit to buy and really it’s priced reasonably for all you get. The idea of getting a book and card game, too, would add to the fun then you can even go online for hours of more fun. This should keep kids occupied for a long time plus it gets their imagination going and makes them feel special. What a fun idea and I know this would make a great gift for a little guy I know. Thanks! Great for fun and encouraging imagination! What a great idea! My little guys would love this! My nephew got a cape one year and didn’t take it off for weeks. This sounds like a good site. Thanks. What a great resource for teachers! And kids will adore this! It certainly is well worth the price in terms of learning experience and content! Nice, such a great way to get kids excited.